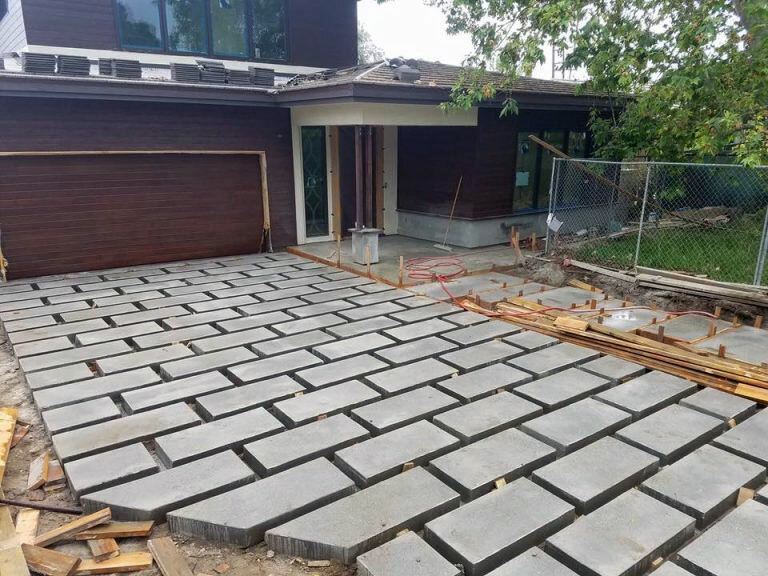 Concrete is one of the most durable and low maintenance materials you can use for driveway installations. 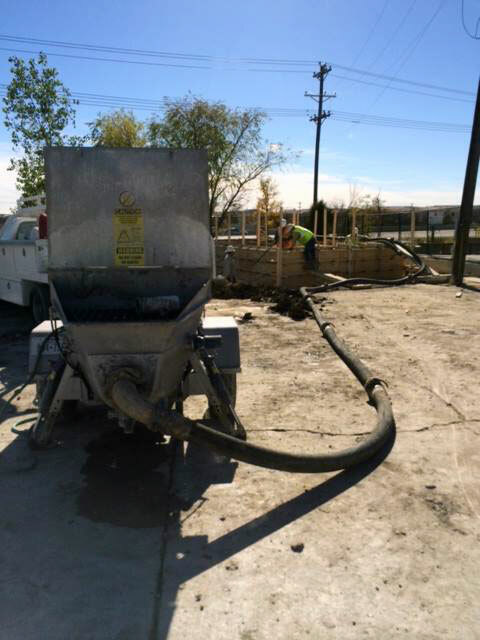 Once your concrete driveway is installed it will last for many years. 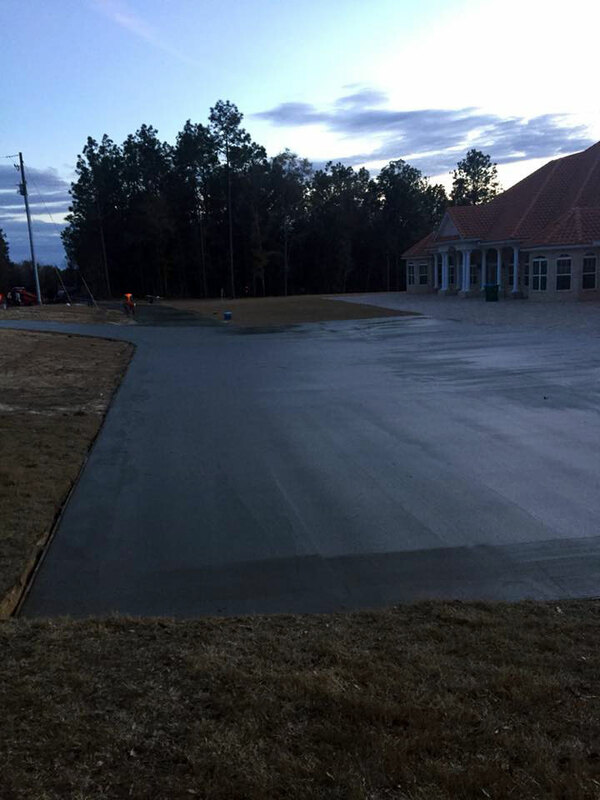 A properly installed concrete driveway with regular maintenance can last you up to 30 years where asphalt will typically only last about 20. 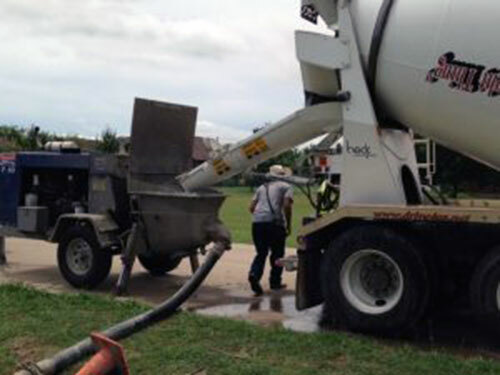 A concrete drive will also add to the overall appearance of your home. 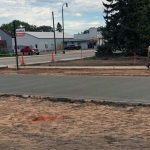 It will create a solid surface for parking. It will create a safe space for kids to play by creating a place for them to ride bikes, play basketball, field hockey, etc. 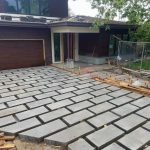 A concrete driveway is much more durable than gravel or asphalt – consider the amount of traffic and traffic type your driveway will have. 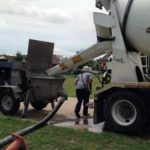 If you have heavy vehicles, above the average amount of traffic, above average water runoff, a concrete driveway is the best choice. A gravel drive will require much more maintenance as you will need to keep it level and will need to add additional stone from time to time. Plus a concrete drive is much cleaner on your car and even for your house. It will mean less dirt being tracked inside. An asphalt drive will also require more maintenance than a concrete drive. With an asphalt drive you will need to be sure to seal cracks to keep water from undermining the asphalt causing the cracks to spread. It is recommended that you seal all cracks annually. You will also need to seal coat the driveway to help slow down the deterioration of the asphalt caused by nature. This includes sun, water, and overall traffic use. It is also important to keep the edges clean so that grass and weeds do not creep into the asphalt causing it to crack or deteriorate much faster. 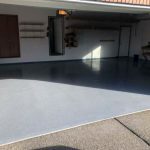 In addition to less maintenance, a concrete driveway are a beautiful addition to the exterior of your home. Not to mention that it will also increase the value of your home. 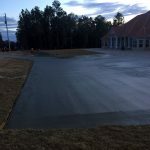 You can even turn your flat surface concrete drive into a unique custom look with concrete stamping. You can add the look of brick, cobblestone, and flagstone to the concrete. Creating a look of natural material but with the added durability you get with concrete. Not to mention the bonus of less maintenance. You can even add color for just that extra touch to tie into your home’s exterior and landscape. And if you don’t want to stamp the whole driveway, you can just do the border. This will create a nice accent to your driveway. 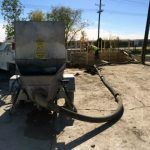 Gene’s Concrete Pumping Service understands the importance of proper installation of a concrete driveway leads to a long lifespan. A driveway is only as good as what is underneath. 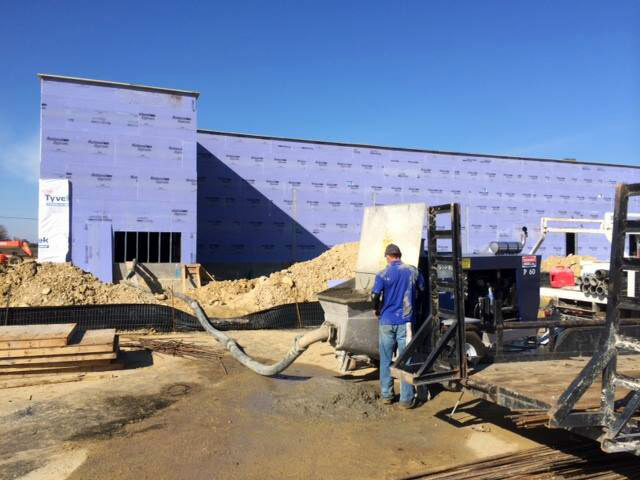 Our concrete installers will install your drive correctly the first time. 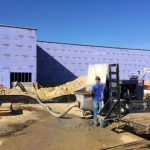 We will perform soil tests to determine if the sub-grade material is suitable or if it needs to be excavated, a new base brought in, or structural material installed. We pride ourselves on a job well done! 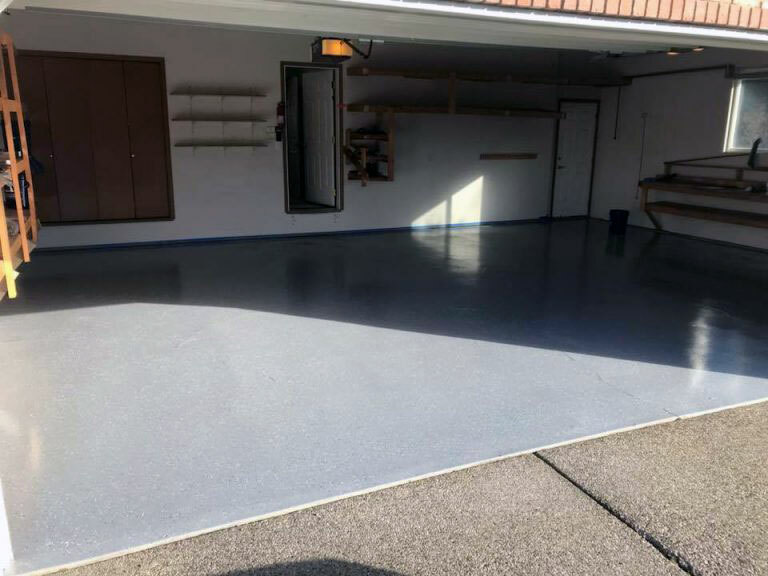 To keep your concrete drive in tip-top shape Gene’s concrete recommends sealing any cracks annually along with applying sealer every 3 to 5 years. Give us a call for a free quote on your concrete driveway.